Chungking Express is a Chinese Art Film that I enjoyed particularly because of the short monologues that the main character in this movie (a Hong Kong Policeman) engages in while puttering about lonesomely in his empty apartment once his girlfriend (an air hostess) has dumped him and he is not sure whether he is still in love with her or should he make an effort to move on with his life. The monologues with his bathroom soap and bath towel were endearing!! Chungking Express stars two leading actors of the Hong Kong movie industry... the girl's part is played by Faye Wong, a particularly talented Diva-like actress who made this role her own by deftly combining meaning silences and facial expressions with improvised dialogue to create an unforgettable modern day heroine. 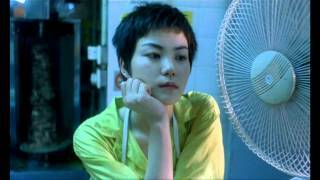 Chungking Express can be watched for free by clicking at the YouTube link embedded here. Enjoy !